Three US diplomats have been accused by Venezuelan President Nicolas Maduro of plotting with the country’s far right to sabotage the national electric grid. In a scathing TV address, the socialist leader told the diplomats to leave within 48 hours. Maduro, who canceled his visit to the UN General Assembly a week ago over an unspecified ‘US plot’, said he was expelling three American diplomats. "We detected a group of US embassy officials dedicated to meeting the far-right and to financing and encouraging acts of sabotage against the electrical system and Venezuela's economy," the president said in a televised speech. “Yankees go home!” he said in English, after announcing the decision to oust the diplomats. “Get out of here! 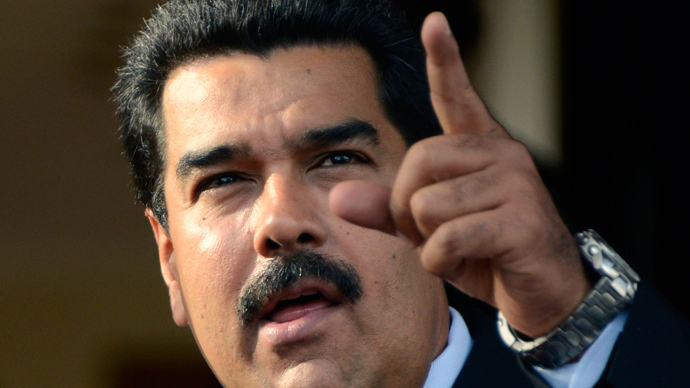 I don't care what actions the government of Barack Obama takes," Maduro added. Among those expelled is Chargé d’Affairs, Kelly Keiderling, the senior US diplomat in Venezuela in the absence of an ambassador. Caracas and Washington have not exchanged ambassadors since 2010, after the then incumbent President Hugo Chaves refused to accept a newly appointed American envoy. The other two were consular officer, David Moo, and Elizabeth Hoffman, who work in the embassy’s political section. Foreign Minister Elias Jaua later said on state TV that the expelled Americans had met with opposition and labor leaders in the southeastern state of Bolivar, and with the opposition governor of Amazonas state, Liborio Guarulla. He said a protest note was sent to US Secretary of State John Kerry about the meeting. The US Embassy rejected Venezuelan allegations of conspiracy, saying the trip was “normal diplomatic engagement” with opposition forces. “We completely reject the Venezuelan government’s allegations of US government involvement in any type of conspiracy to destabilize the Venezuela government,” the Embassy said in a statement. "We likewise reject the specific claims against the three members of our embassy." 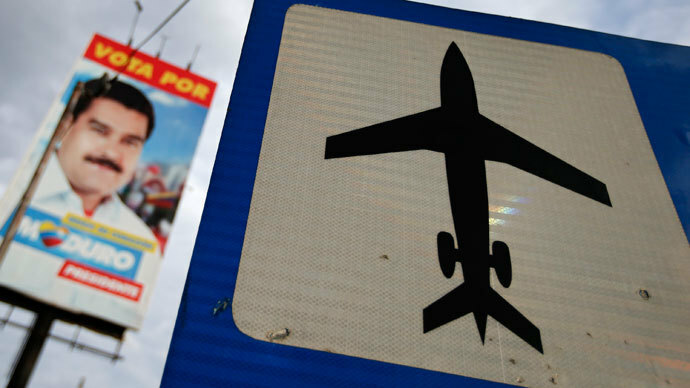 On Tuesday the US announced that three Venezuelan diplomats had 48 hours to leave the country as its response to Venezuela's expulsions. A State Department spokesperson indicated that Venezuela’s head of business affairs, Calixto Ortega, along with Marisol Gutierrez de Almeida, attached to the country's Houston consulate, and Mónica Alejandra Sánchez Morales, currently assigned to the country’s Washington embassy, were all persona non grata. 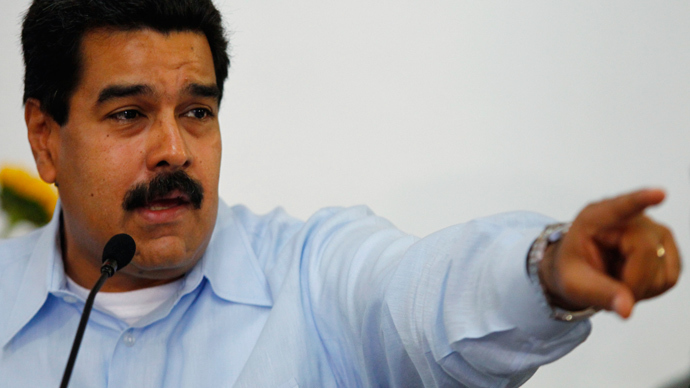 Since his election as Venezuelan president in April, Maduro has spoken about a number of alleged plots against his government, including five attempts on his life. His previous swipe against the US government came earlier this month after his plane was briefly blocked from flying over Puerto Rico en route to China. 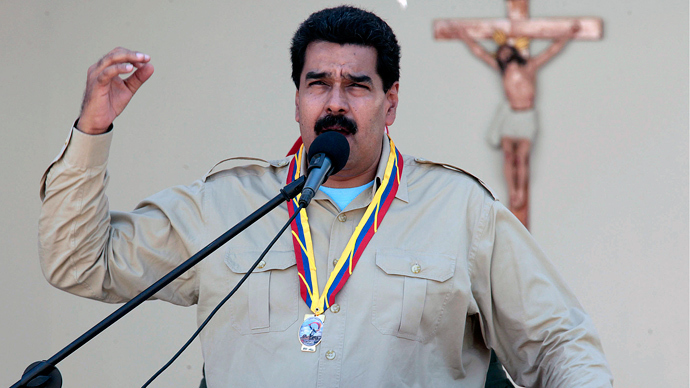 Six months ago Maduro expelled two US military attaches hours before announcing Chavez’ death from cancer. He later accused one of them of plotting a coup against Chavez. The opposition says Maduro, a protégé of Chavez, is trying to divert attention from his inability to manage the country with wild accusations and anti-Americanism. For the past few years Venezuela has been suffering from power blackouts and shortages of essential foodstuffs and medicines. The opposition says rampant corruption, negligence and poor governance is to blame, while the Venezuelan government says the country’s economy is suffering from acts of sabotage.